Welcome to October. It’s that time of year when our social media outlets become flooded with pictures of leaves with an Instagram filter hashtagged “HoodieWeather.” And of course, it is also the time everyone hypes up our favorite drink we pretend to enjoy: Pumpkin Spice Latte. I’m not afraid to admit that I’m not a fan. 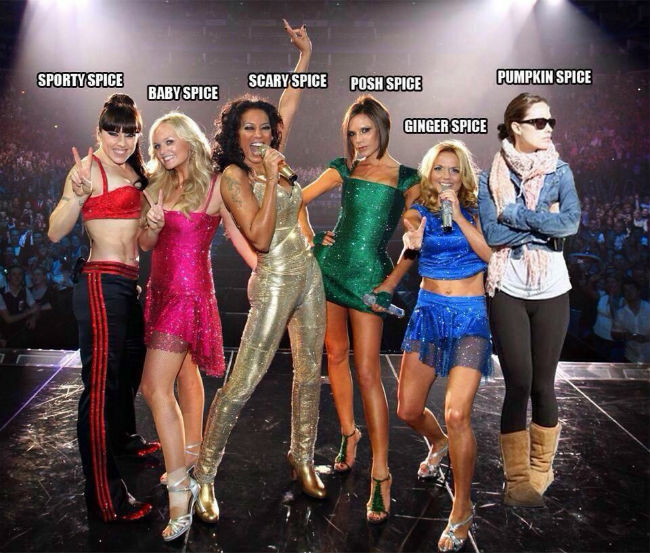 When I first heard of this “pumpkin spice,” I thought it was the name of a long lost Spice Girl. 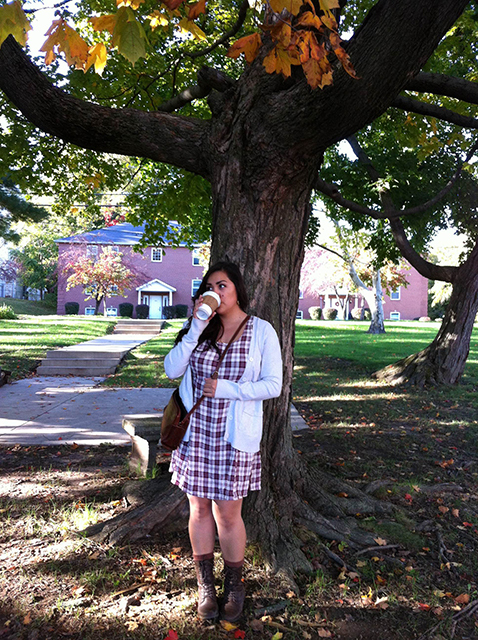 I tried pumpkin spice flavoring in my coffee for the first time last fall and was extremely disappointed. Honestly, it was so disgusting it ruined my morning. It has taken a year to purge the aftertaste from my body, which happens to be just enough time to be greeted once again by this insipid autumn cliché. There comes a point in every man’s life when he has to stand against the crowd to face his own reality. The reality is that pumpkin spice is simply…awful. Therefore, I banish this repugnant taste from my presence. 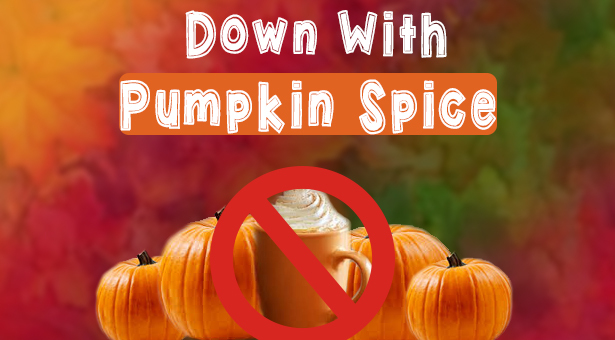 DOWN WITH THE PUMPKIN SPICE! In my opinion, pumpkin pies are okay. They serve their purpose when they are served strictly as a Thanksgiving dessert. They are acceptable compared to the pumpkin spice latte based on one substantial difference: They are made with real pumpkins. The official “Pumpkin” Spice Latte from Starbucks contains no actual pumpkins and everyone seems totally okay with this. What??? Do you see what we’ve done? We have taken an already mediocre flavor and artificially duplicated it to mass-produce. 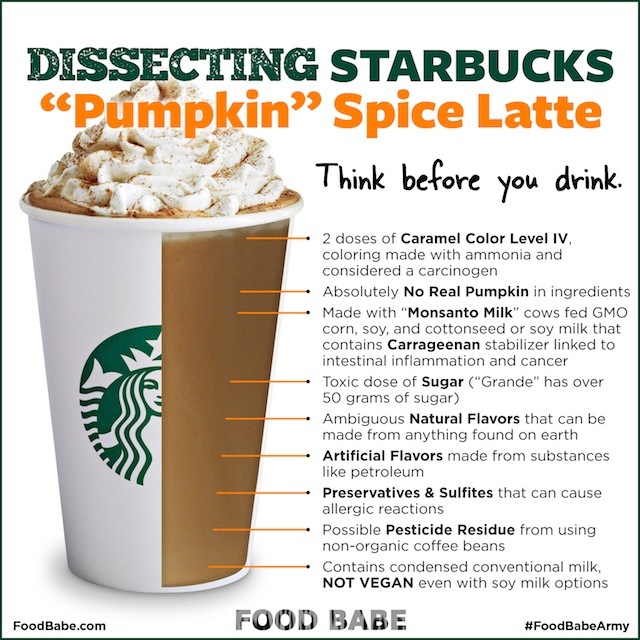 Perhaps we should rename this envied drink to “artificial spice latte” because that is what it is. There are actual pumpkin candles that contain more organic pumpkin than the stuff we are drinking! Another reason I banish thee, despicable creation. In conclusion, If you legitimately enjoy pumpkin spice drinks, I will give you a sarcastic “you go, girl” and continue to sit back in silent judgment. I’m not forcing anyone to stop drinking it because I think it’s important that we all learn through making our own bad decisions. However, I do ask to keep your latte away from me because I’m highly allergic to clichés. Thank you.